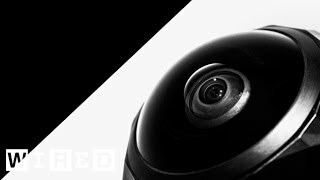 The 360fly is waterproof to 165 feet. 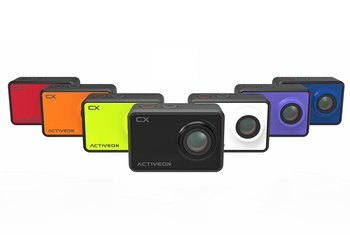 The panoramic action cam has a 360-degree horizontal and a 240-degree vertical viewing angle. It connects to the iOS and Android apps by Bluetooth so you can share your 360fly experiences and control your camera remotely. There is no SD Card slot, so you only have 32GB of internal memory to work with. You can't change the battery on the 360fly; you recharge the internal one. 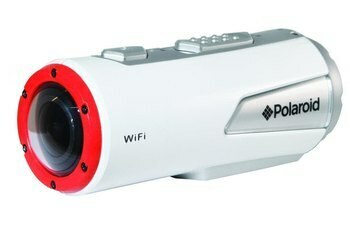 The price is a bit on the high side, but it's a pretty cool camera. 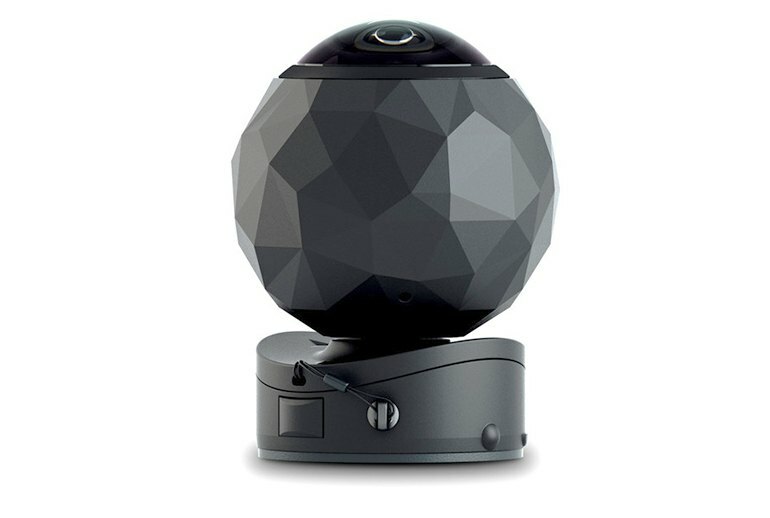 The 360fly action camera from EyeSee360 gives you immersive video with a 360-degree horizontal and a 240-degree vertical viewing angle. With sci-fi movie looks, the 360fly is a simple device with power and stop/start buttons, 32GB internal memory, and up to two hours of battery life. Connect to your iOS or Android device with Bluetooth for live viewing and remote camera control. View videos you can pan and swipe through 360 degrees or share stills to the Web from anywhere in your video. Switch to stereo display with a button push for a virtual reality experience through the special viewer. The 360fly is dust-resistant and water-resistant to 5 atmospheres--about 165 feet. There are small details about this camera that I really appreciate: the design looks cool, the construction feels solid, and the app is surprisingly intuitive and simple to use. Video quality and software issues define this product as an entry-level camera that has a long way to go. 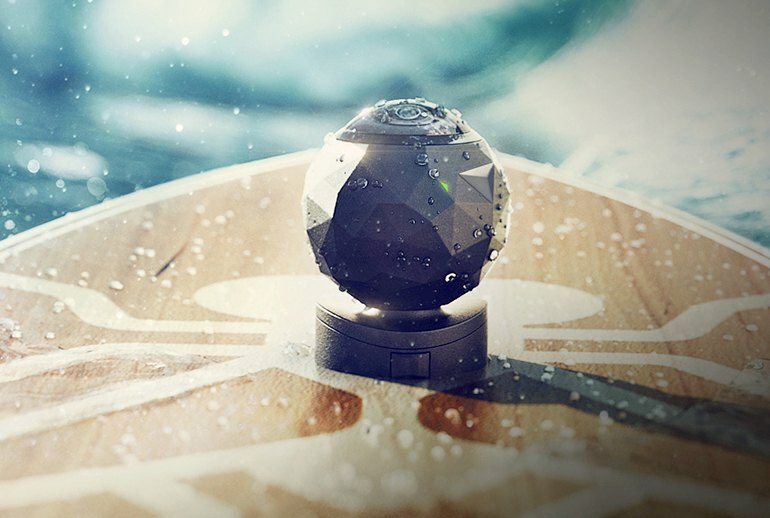 We’d recommend this camera as a piece of testing equipment for people who want to get their feet wet in virtual reality and 360 video, though this certainly won’t be the industry standard. As much of a skeptic of 360-videos and VR as I am, I feel like 360fly is onto something huge here. The lens also grabs buckets of light, and its video resolution (1504 at 29.97 frames per second) is better than an iPhone 5 (1080 at 30 fps). 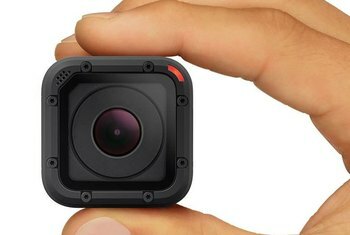 However, it lags behind the GoPro Hero5 (4K at 30 fps). Using a single lens and sensor eliminates the need to "stitch" video and photos -- instead, you can swipe across the video to pick the angle you want, then edit it together using the 360fly app. 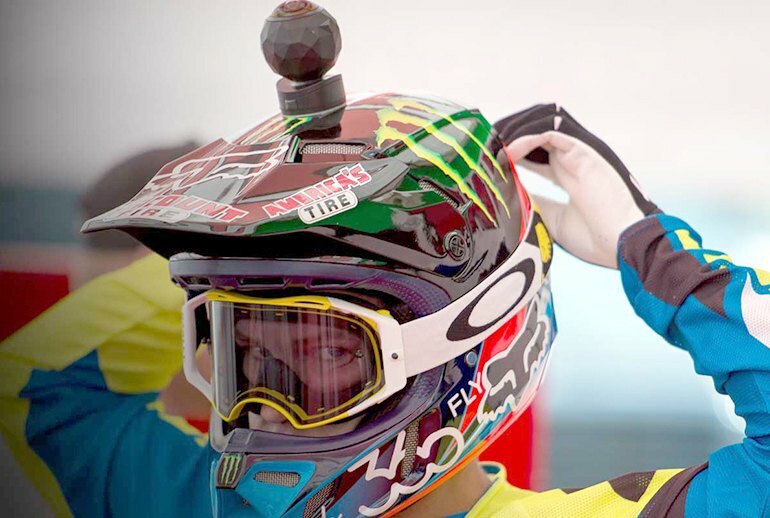 The 360Fly is a sleek-looking, tennis-ball-sized video camera that can be hand-held, mounted on a sports helmet or just left on a table. With an ordinary video, what you see is what you get. 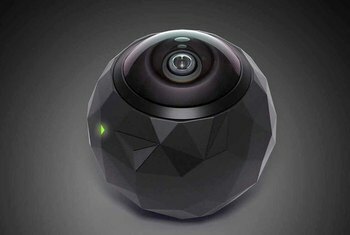 With 360-degree video, however, users are able to swipe the footage around to see what was recorded from different angles. 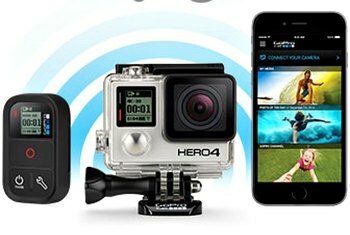 You are buying a first generation consumer-level 360 degree action camera here. I suggest you get it and start learning how to shoot compelling video with it. Don’t let the tech spec whiners keep you from being a trailblazer.